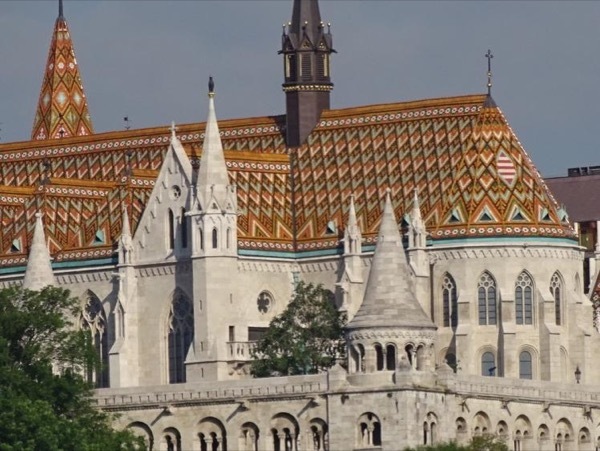 Traveler Reviews for Private Tour in Budapest, Budapest, Hungary by Tour Guide Katalin D.
Katalin did a great job of showing us Budapest. We were on a river cruise, so we gave her what we would see with the cruise and she adjusted our tour so we did not duplicate things we were schedule to see with the cruise. She has a true love for the city and her knowledge was very informative for the history and special places to see and do. She made recommendations for places to eat and do for our extended stay in Budapest. We would highly recommend her if you want a fun and informative tour in Budapest. Katalin went out of her way to accommodate the unusual requirements of our special project that called upon her skills as a translator and her knowledge of locations off the normal path for tours. She was very flexible in adapting to our needs, even in the face of some initial miscommunication. We appreciate the time she spent with us and recommend her services for any travellers to the wonderful city of Budapest. Kathy was an incredible guide ! She was very personable and attentive to our group's wishes & always put us 1st. Her English was very good and she was very adept at explaining what we were looking. Kathy took as all over Budapest and you could tell that she really enjoys her work and that she loves her native city of Budapest. Her tour was the highlight of our stay in Budapest. I give my highest recommendation to Kathy for her outstanding job and it was a pleasure to spend 5 hour on her tour ! Fabulous tour guide. Very patient and able to explain history to kids and make it interesting. Very glad we booked this tour to get a full day of information. Highly recommend. We had a very good half day tour with Katalin. She guided us with a good itinerary that lasted a full 4 hours. She was tireless and made sure that we were comfortable all the way in the tour. Very personable, articulate, knowledgeable. As well as the public history, she shared some personal perspective on Budapest and Hungary which helped in our understanding of the country. We ended the day as friends. Outstanding guide. Would have gotten 90% less understanding and appreciation of Budapest without her. A must for the city. Friendly, engaging and warm. Fist thing we did in Budapest was the wonderful 5 hour walking tour with Katalin. Our highlight! She broght Budapest alive and made it incredible interesting and energetic. Katalin showed us Budapest in a way we could never have discovered ourselves. Her own fascinating family story brings history alive. Beside the wonderful tour we got a large list of recommendations ( resturants and places to visit ) wich we followed the next few days. Definetly the best way to start in a new city. Enjoy. A fabulous way to explore Budapest. 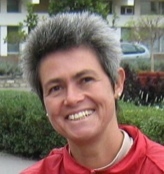 Katalin is a very experienced guide and tailored the tour to suit our interests. Her insights into Hungarian history and her willingness to share personal stories made this a very enjoyable 5 hrs. It really helped us gain an overall appreciation of Buda and Pest, and it Katalin also recommended 'homework' for us - other areas of interest within the city that we could enjoy without a guide. Highly recommended and worthwhile. Katalin was so helpful and informative. This was our first visit to Budapest and she helped us enjoy every minute. We'll be back! Katalin was a wonderful guide. Her knowledge of the history of Budapest was impressive. In particular, for those of us who have studied the history of the war and politics, she made it more of an emotional connection. Not just history. Katarin is a fantastic guide and we truly loved our tour! She helped us plan out the rest of our trip in Budapest and taught us how to use the public transport. You can't help but smile with Katarin! I would definitely recommend Katarin as a tour guide to everyone. Cathy is a wonderful guide. She picked us and our luggage up from our Viking ship at 9 a.m. and took us for a full day tour of the highlights of Budapest that we wanted to see. She is very friendly and knowledgeable and a delight to spend time with. She took us to a great local restaurant and regaled us with fascinating stories of her life under the communists and after. She is the best and we recommend her highly. Katalin was superb! Of course she was on time, compltelt fluent in english and so very knowledgeable about Hungarian history, Budapest itself and current politics. Moreover, when she learned we were going to be getting a city tour from Grand Circle prior to our cruise down the Danube, she tailored our tour with her whereby we wouldn't be covering the same city atractions. We highly recommend Katalin! Katalin was an absolute angel. Everything was perfect and she even escorted us to our riverboat following the tour. She couldn't have done anything to improve on our outing. Just a delightful, well informed guide. Katalin was friendly and very knowledgeable when it comes to the City of Budapest. We saw many things that the cruise line tour did not touch. Especially the little "out of the way" spots hidden in the back of establishments. Very nice. Thank you Katalin. Cathy was a terrific tour guide. She made our visit to Budapest insightful and interesting. We enjoyed her explanations of the history, life and politics of Hungary. Her help obtaining a return ticket, hotel room, public transportation and changing money gave us the time to see more the her beautiful city.